First Floor 1483 sq. ft.
Second Floor 1246 sq. ft.
Width 63 ft. 4 in. Approx. Height 25 ft. 9 in. 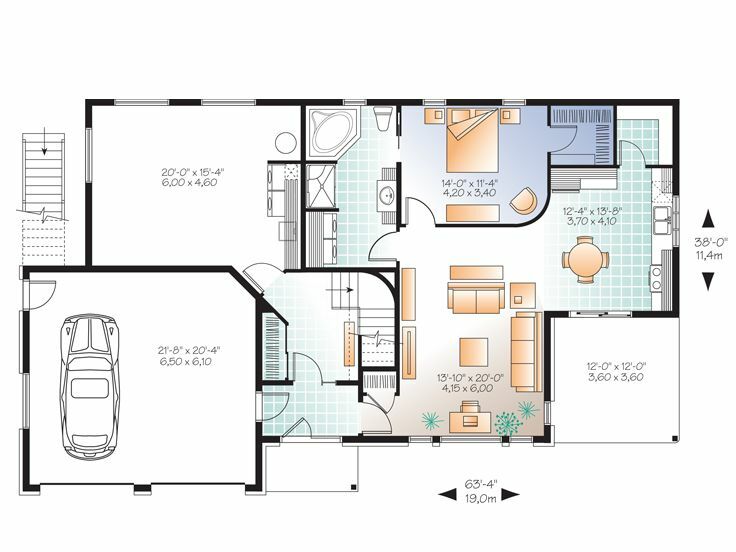 This contemporary house plan is a unique multi-generational home, perfect for those with an aging relative in their care. It could also be used as a duplex depending on the tenants. 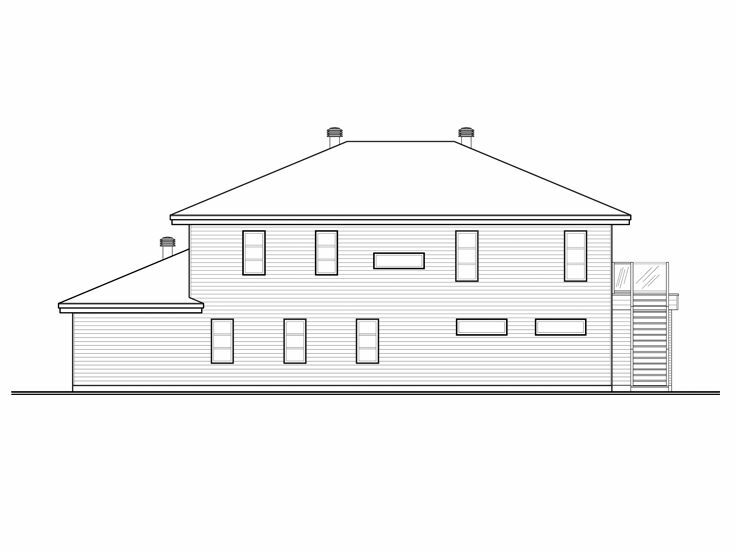 If you’re considering this home as a multi-generational design, the main level would be best used as an in-law suite. It features an open floor plan complete with family room, eat-in kitchen, bedroom, and deluxe bath outfitted with laundry facilities. 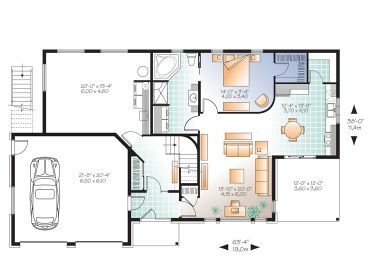 A two-car garage and storage space complete with laundry facilities for the second floor occupants polish off the main level. 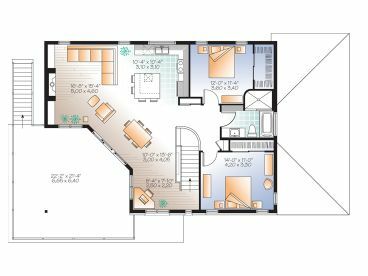 Upstairs, you’ll find a roomy floor plan featuring an island kitchen complete with snack bar and views of the covered patio. The kitchen overlooks the family room boasting fireplace surrounded with built-ins and the dining area. 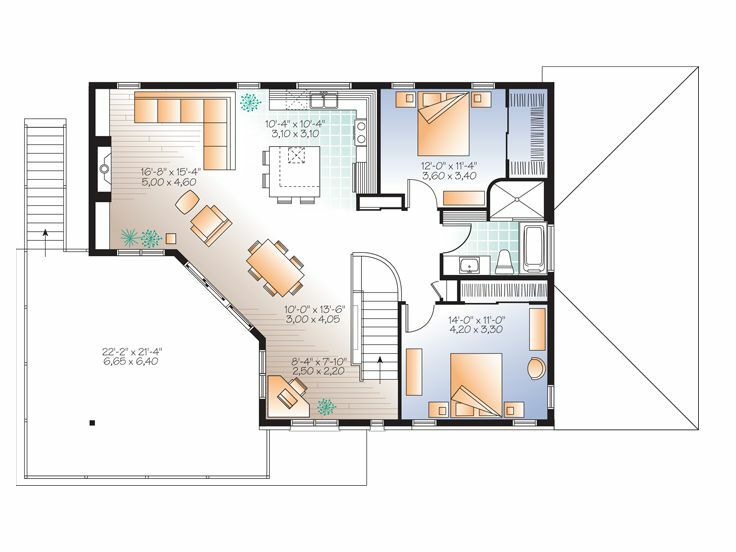 Two bedrooms, one with a walk-in closet, share a full bath. 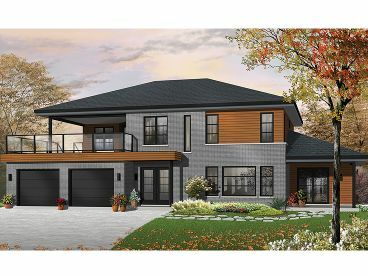 The upper level living quarters enjoy interior and exterior stairs making this home the perfect design, flexible enough to be a duplex or a multi-generational home with an in-law suite. 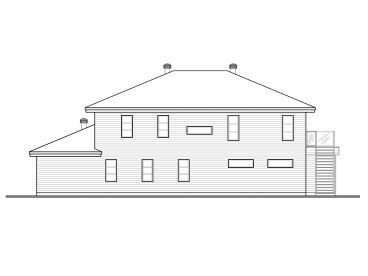 Showcasing its modern exterior that is meant to look like a single family home, this multi-family house plan is more than meet the eye!